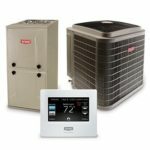 The perils of doing whatever it takes to make combustion heating (natural gas/propane) or air conditioning equipment limp along another year. The consequences range from catastrophic and environment damage to excessively high energy bills. One day, you just can’t take it anymore, so you call an HVAC firm. You feel uncomfortable, whether it’s too hot or too cold, so you schedule a service call. The technician identifies the issue, but they need to order the part or schedule a follow-up for the next business day. 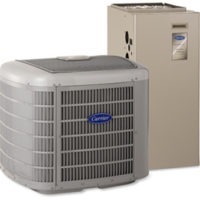 You may wonder if your technician knows a temporary workaround, so that you can get some relief to get HVAC equipment to work. Many times, there are workarounds, but at what cost? 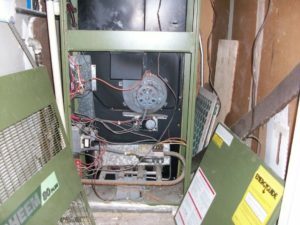 If there’s a workaround, they may be doing it on a safety that was placed on the furnace to either protect the health of the occupants, or perhaps the safety of the property. What could possibly happen? Below are the famous last words of technicians and home owners alike. It brings us no joy when the customer starts explaining their situation and says, 'It sounded like a good idea at the time." Here are some things that you may want to think twice about before embarking down the road for instant gratification. 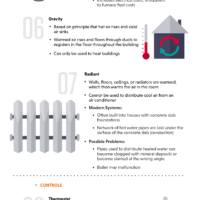 There are many things that will shut a furnace down, and a safety is a good thing. A series of safeties were invented to protect the public, but not to be a nuisance.  There are several reasons a safety would kick in some of the reasons, including reduction of air flow, extreme temperature issues, and exhaust issues, which all could mean carbon monoxide poisoning or fire. There are many online videos of cases where the safety was bypassed, which resulted in grim consequences. It may or may not be safe for the first night, but unfortunately, human nature makes us push the limit. We may think, well if one night was ok, how about two or three? Eventually, the issue will catch up and result in flame rolling out on the furnace – the heat exchanger will get so hot that it’ll make a hole in it, and you will be breathing in exhaust fumes packed with deadly carbon monoxide. In short, don’t bypass a safety. It is much better to stay in a hotel for the night if it really is that uncomfortable. The flue had an obstruction, but an inexperienced technician could not determine the issue. The technician realized that the furnace will work with a bypassed safety, so that's what they did. If this happens, this can cause the super-heated furnace or an obstructed flue to fume. Because carbon monoxide is odorless and colorless, it’s potentially deadly to back up into the furnace. There is another item that gets bypassed, and this one is for the air conditioning system. This item has to do with the drainage of the condensation that accumulates during the function of the air conditioning system. Bypassing a sensor to shut down the air conditioning system, considering the condensate drain isn’t working properly, can cause extensive damage. Water is very damaging to a home. The result can be dry rot and even very dangerous mold. So, although water damage may not appear as dangerous as fire or carbon monoxide, mold can become extremely dangerous. The last example is the loss of refrigerant. Because air conditioning is a closed system, it shouldn’t require any refrigerant. If refrigerant is needed for the cooling to work, then there may be a leak. Not only is replacing refrigerant expensive, but the older refrigerants can potentially ruin the ozone. The EPA and mother earth want us to locate the leak and fix it. The additional issue for bypassing something until the parts come in is human nature. If it is working, there is no rush to finish it, which can increase the chances of a disaster. Don’t chance it! 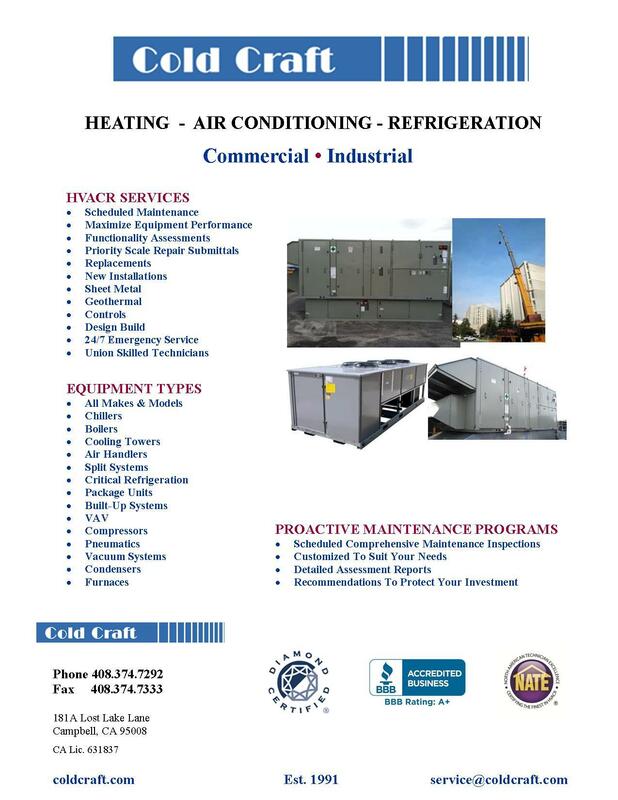 If you want an HVAC company that is more concerned about your health, safety, and property, please call Cold Craft, Inc. We’re the answer to your comfort needs! Visit coldcraft.com or call us at 408.374.7292 to learn more.